Uses: The oil is a good home remedy for toe nail fungus.This oil is a potent stimulant. This evergreen tree is a native to India, South China, Bangladesh, and Vietnam. It is predominantly grown in the Chinese regions of Yunnan, Guangxi, and Guangdong. The tree is also found in Europe, Unite States, Mexico, Oceania, and Burma. The tree is best harvested during the dry season because the yield is high. The stems are cut during rainy season to facilitate bark peeling. The bark is harvested from 4 to 5 years after plantation. The economic value of cassia is great in China and Vietnam. Long ago, Hai Thuong Lan Ong of China appreciated the tree as one of the four tonic medicinal sources. In Chinese traditional medicine, it is considered one among the 50 fundamental herbs. The term cassia is derived from Hebrew "quddah" meaning amber or bark like cinnamon. Cassia oil is extracted by steam distillation of the leaves, twigs, and the bark of the tree. The oil is golden yellow in color with a sharp aroma. Depending on the proportion of the leaves, the twigs, and the bark, the quality of the oil varies. Cassia oil improves blood circulation thereby facilitating distribution of nutrients and oxygen to every corner of the body. This property is especially beneficial in fighting arthritis, muscle cramps, spasm, and rheumatism. Pure cassia oil has the high refractive power. In vitro, cassia oil is reportedly active against herpes and adenovirus. The oil is used in treating digestive complaint such as diarrhea, colic, dyspepsia, nausea, and flatulence. Some of the properties of the oil include antibacterial, antifungal, anti-viral, antioxidant, anti-inflammatory, and anticoagulant. The oil is effective when fighting against depression. It lifts the mood and induces warm feelings. Its antimicrobial properties aid in the treatment against microbial infections of kidneys, colon, urethra, and urinary tract. 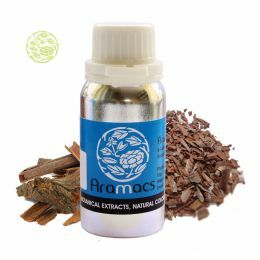 Cassia oil is a potent stimulant. It stimulates metabolism, body function, improves secretions, circulation, discharges, and the entire nervous system. It also has potent effects against ringworm, inflammation, viral infections such as cold, flu, Candida, cataracts, arteriosclerosis, and atherosclerosis. Its astringent properties strengthen hair root, gums, skin, and muscles. It also aids in stopping uterine and other external and internal hemorrhages by contracting blood vessels. Cassia oil is found effective against high blood sugar level. According to medical research, cassia oil is used to treat Type 2 diabetes patients who suffer from improper insulin functioning. The essential oil of cassia is used in flavoring curries, soft drinks, candies, and in baked foods. It is used as an economical substitute for fragrance applications. Inhaling this oil reportedly has spiritual and emotional influence on the mind. 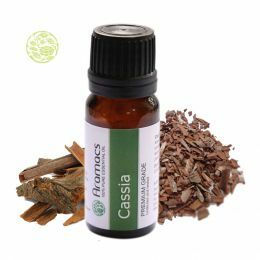 From making scented candles to providing me with soft smooth hair, the cassia oil of www.essentialoil.in has helped me in every way. Even though its mild medicinal taste isn’t great for culinary uses, but it has got plenty of other benefits and its must have for every household.